After 20+ years of being away from SC, I moved back to the land of smiling faces and beautiful places in the Spring of 2016 and began my real estate career. I was raised in the Dutch Fork area of The Midlands in Little Mountain, SC and am familiar with Columbia and surrounding areas. I have always loved SC, regardless of how much I curse the heat in the summertime. I love any time I can find to spend on the beautiful beaches of South Carolina. While away for all those years, I spent six and a half years serving our country in the US Navy, living in the panhandle of Florida and in the Tidewater area of Virginia. After exiting the military, I moved to Colorado, then to Georgia, and finally Virginia again, before returning to SC. I am a stickler for excellent and honest customer service and strive to provide the level that I expect. I have many years in the Customer Service Industry and Medical Field. My compassionate and nurturing nature makes me a perfect fit for a career in real estate. I currently live in Cayce, SC and enjoy what little family time I can get from time to time. I enjoy a good Fireflies baseball game and a college football game. I bowl on a Sunday night league 8 months out of the year and enjoy socializing with friends and family. 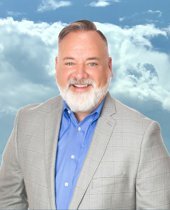 Whether you are buying or selling, or just looking to find your sweet vacation home, I will provide personable and complete customer service beyond compare and see you to the realization of your dream.